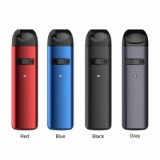 Kangertech SUPO is an innovative pod kit constructed with 800mAh built-in battery and 2ml refillable pod cartridge. 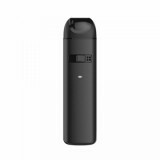 It adopts the unique design of DTL/MTL switch button through which you can choose Mouth To Lung (MTL) and Direct To Lung (DTL) vaping without changing pod. Here comes the Kangertech SUPO Pod Starter Kit! Kangertech SUPO is an innovative pod kit constructed with 800mAh built-in battery and 2ml refillable pod cartridge. It adopts the unique design of DTL/MTL switch button through which you can choose Mouth To Lung (MTL) and Direct To Lung (DTL) vaping without changing pod. When you switch to left, the 1.0 ohm coil works with one airflow hole, producing lighter vapor which is suitable for MTL vaping. While you switch to the right, the 0.6ohm coil works with 4 airflow holes, producing heavier vapor which is suitable for DTL vaping. 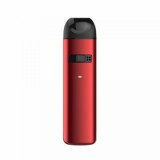 Additionally with the elegant appearance and portable design, Kangertech SUPO will the best choice for you to enjoy vaping! • Kangertech SUPO Pod is also available in BuyBest. • You may also have interests in other pod kits.